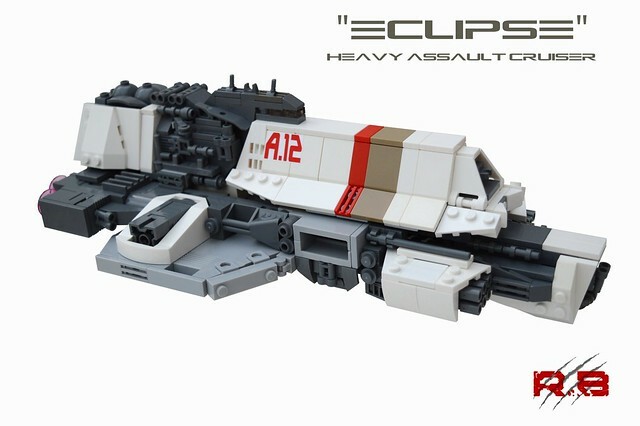 Rancorbait's awesome micro space fleet continues to grow with the addition of this stunning heavy assault cruiser. Like his Nova cruiser we blogged just last week, this one has a fantastic blend of broad strokes and greebly goodness. But this one looks ready to take on an armada by itself. I love that both vessels are unique yet share enough features like color scheme and shape combinations to make them look like they're from the same fleet, very well done.